Below are brief vignettes about each of the retirees. Mark Gaskell at Jason Mraz's coffee-avocado farm. Mark Gaskell is best known these days for cultivating the idea of California-grown coffee that launched the emerging industry. But coffee isn't the first crop that Gaskell convinced California farmers could be locally grown. For more than 23 years, the UC Cooperative Extension advisor has been researching new specialty crops, such as blueberries, blackberries, raspberries, kiwi berries, Pakistani mulberries, sweet onions, lychees and longans, for small farms to grow for a profit. Gaskell, who began his career with the University of California's Division of Agriculture and Natural Resources as an advisor for small farms and specialty crops in San Luis Obispo and Santa Barbara counties in 1995, retired July 1. “If it wasn't for Mark Gaskell, I wouldn't have lasted three years,” said Tony Chavez, who grows 40 acres of blueberries, blackberries and some raspberries in Nipomo. Blueberries weren't grown in California until Gaskell planted test plots of southern highbush blueberries in 1996 to give small-scale growers a new crop option. What was once a niche crop is now planted on over 7,000 acres in the state and California currently leads U.S. production of fresh blueberries. Recently Gaskell's knowledge of coffee production has been in demand. With Gaskell's research-based advice, the Goleta grower has produced premium coffee. His Caturra coffee made Coffee Review's Top 30 coffees in 2014 and in 2017 Daily Coffee News reported that Blue Bottle was selling the California-grown coffee for $18 per ounce. Gene Miyao was named the UCCE vegetable crops farm advisor for Yolo County in 1980. In 1990, Solano County was added to his territory and about 10 years later, he also took on responsibility for Sacramento County. Miyao had been exposed to UCCE farm advisors from a young age. 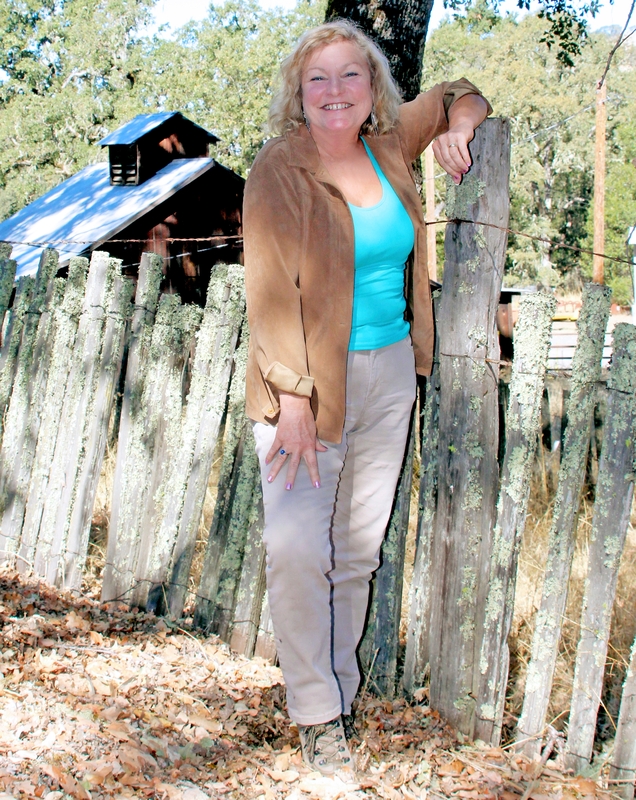 “My parents were small-scale farmers in Yolo County. We knew of the value of UCCE and the UC system,” Miyao said. 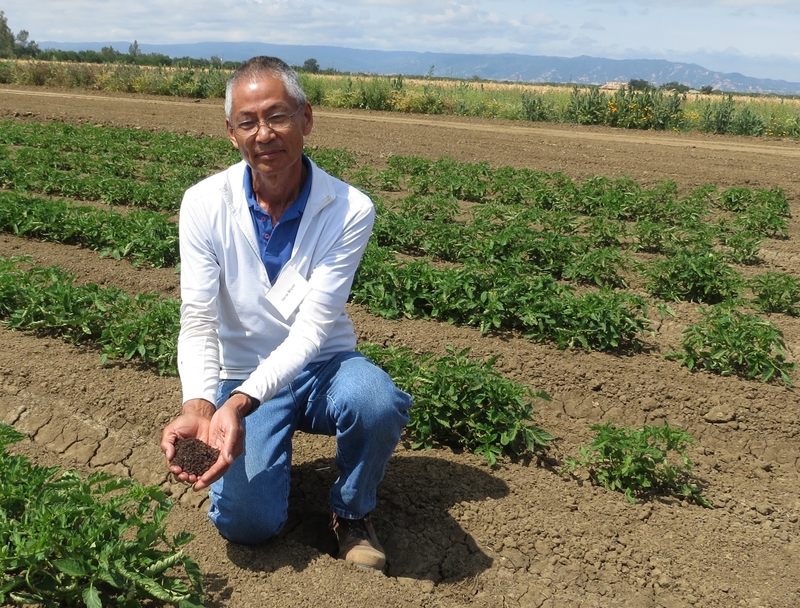 During his 38-year-career, Miyao has witnessed dramatic changes in production systems of processing tomatoes, a crop on which he focused much of his efforts. Growers went from using open-pollinated seed to hybrids and they changed from direct seeding to transplants. Tomato production has seen a major reduction in Phytophthora root rot, and a rapid spread of Fusarium wilt race 2. Over the years, Miyao has conducted significant research, including work to better understand the benefits of cover crops, supplemental applications of potassium and phosphorous, and applying composted chicken manure in tomato production. He cooperated with a team of advisors to demonstrate the value of sulfur dust for powdery mildew control and the risk of spreading the disease fusarium wilt from infested stem pieces. Miyao was an author of the recent cost production study titled Cost of producing processing tomatoes in the Sacramento Valley and Northern Delta with sub-surface and surface drip irrigation. In all Miyao wrote 69 peer reviewed articles. However, he said, the local newsletters, field meetings and field calls were always his priority in order to stay well connected to his local clientele. Kim Rodrigues, Hopland Research & Extension Center (HREC) director, retires at the end of June, after a 27-year career with UC ANR. Initially hired as the forest advisor in 1991 in Humboldt and Del Norte counties, she became county director a few years later and has had an administrative assignment attached to her academic career ever since. She later became the executive director of Academic Personnel for ANR when the regions were restructured and ANR was centralized. Noted as a competent and trusted forester, she has served on the State Board of Forestry and Fire Protection (BOF) briefly and on the BOF Professional Forester's Examining Committee for several years. Rodrigues is also known for her collaborative leadership and facilitation skills and led the public participation team, together with Drs. Maggi Kelly and Lynn Huntsinger, for the long-term research titled the Sierra Nevada Adaptive Management Project. She is recognized as an excellent facilitator for large-scale and smaller scale public meetings designed to share science with diverse public interest groups, agencies and decision-makers, in order to seek new solutions for resolving ongoing conflicts over public trust resources, such as water, wildlife and more. Her passion is working with diverse groups to address complex environmental conflicts to seek shared understanding and new agreements. “It is amazing how diverse input can help frame innovative solutions that individuals or small groups may not readily identify,” she said. She plans to remain engaged in research and extension related to living with wildlife, cumulative watershed effects and managing conflicts of all types. She is also looking forward to spending more time with her husband, four children and grandchild. Blake Sanden of UCCE Kern County retired on June 28. For 26 years, he has been the Irrigation, Soils and Agronomy farm advisor with the University of California Cooperative Extension at the southern end of the San Joaquin Valley. He helped growers with on-farm soil and water problems, organized and spoke at workshops across California and conducted applied field research projects focusing on irrigation, salinity/fertility management for all crops, and agronomic field crop production of alfalfa, dry beans and oil crops. Blake has a bachelor's degree in International agricultural development and agronomy and master's degree in irrigation and drainage from UC Davis and 35 years of experience in California production ag, international ag development and extension. 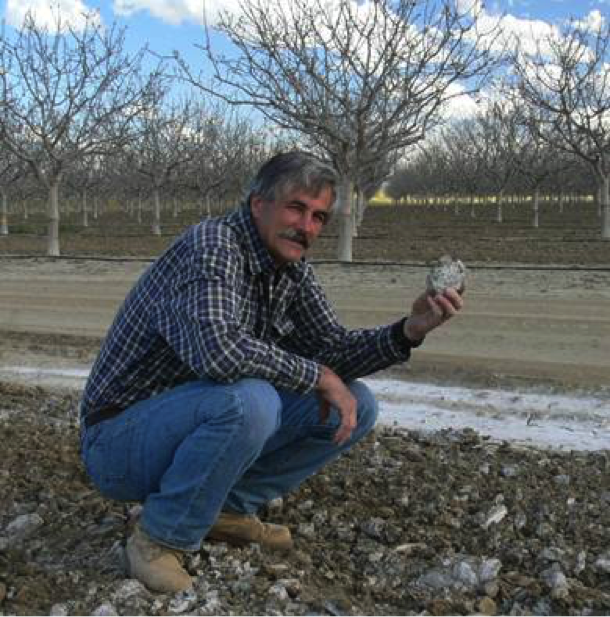 Significant projects of his include: development of salt tolerance thresholds for high production California pistachios in the San Joaquin Valley, soil moisture monitoring techniques and irrigation efficiency assessment on 12,000 acres in Kern County and deficit irrigation in early citrus navel oranges. Over the last eight years, Sanden has fulfilled a vision that started nearly 30 years ago. 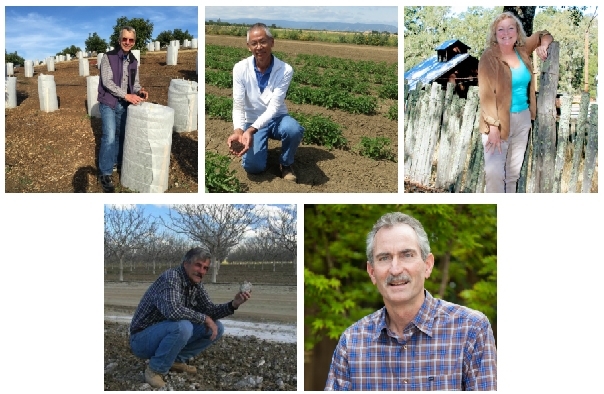 Through collaboration with nearly 50 University of California researchers, farm advisors, extension specialists, the Wonderful Farming Company and almond industry representatives, he played a crucial role in documenting the increased level of water and fertilizer use necessary for optimal almond yield – increasing the statewide average yield by more than 50 percent. But some of his greatest joys and heart-felt satisfaction lay in development work in Africa – 3 years of missionary service in the 1980s developing vegetable gardens in Zambia and month-long training/consulting trips working with farmers and extension agents in Uganda, Ethiopia and central Asia. He remembered a particular time in May of 2004 when a sugarbeet grower called him seeking his advice on whether or not to irrigate his 380 acres of beets one last time before harvesting. That was the way he had always done it. So Sanden went out and spent a couple of hours using his hand probe to check the moisture of the fields down to a three-foot depth. “I ask, ‘Ken, when did you last probe this field? '” Sanden recalled. “Do you really need to irrigate or is this enough water to get through harvest?” noting that he already had enough moisture. “Too much water does hurt beets because you will reduce sugar percentage and can get rot and lose tonnage,” Sanden replied. That year Ken was the top sugar producer in Kern County and got the Silver Beet Knife for highest percentage of sugar, Blake recalled. Steve Tjosvold joined UC Cooperative Extension as a farm advisor intern from 1980 to 1983, working in Alameda, Orange and San Bernardino counties. The internship allowed recent college graduates the opportunity to get experience working with a UCCE advisor in their field of interest. 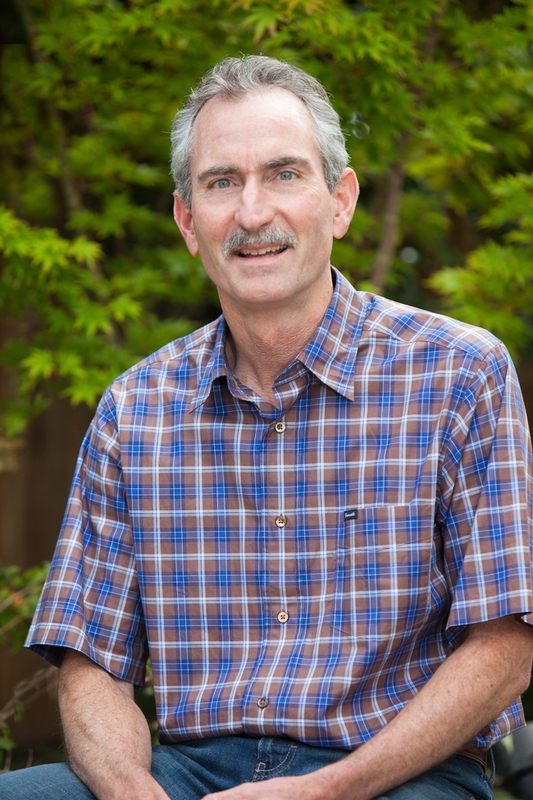 Tjosvold was named the environmental horticulture advisor in Santa Cruz and Monterey counties in 1983. Tjosvold's early career focused on the management of nursery and landscape plant diseases and insect problems, as well as methods to improve water use and postharvest handling in nursery crops. In addition, Tjosvold helped establish the use of scouting in ornamental production by working with other farm advisors to document effectiveness statewide. 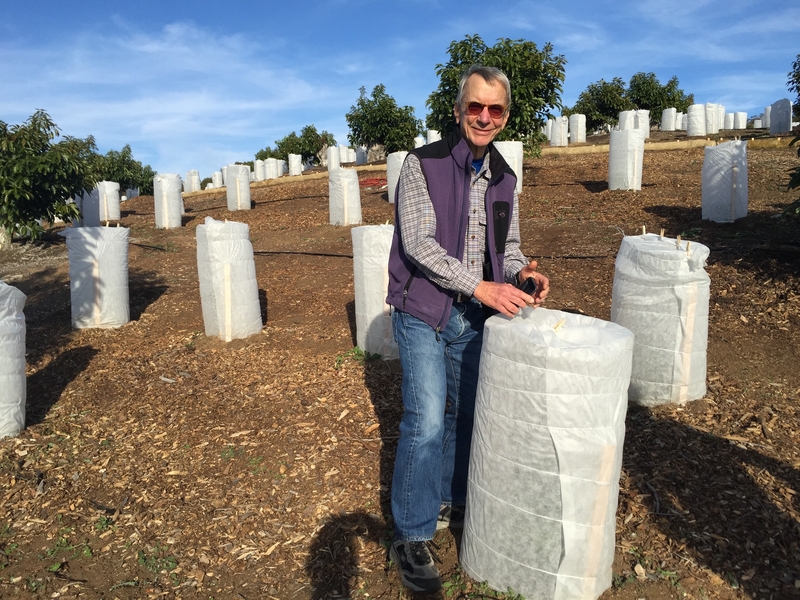 Later, his research and outreach on sudden oak death and light brown apple moth helped growers understand the pests and take action to reduce their impact on production systems and the environment. Tjosvold wrote or contributed to 94 peer-reviewed publications and 234 industry publications. He served as editor/co-editor of UCNFA (UC Nursery and Floriculture Alliance) News. During his career, Tjosvold received three distinguished service awards for outstanding teamwork (1997, 2004, and 2006) and one for outstanding extension (2004). He received the 2008 Western Extension Directors' Award of Excellence for a farm water quality planning project. In 2012 he received the outstanding research award from the California Association of Nurseries and Garden Centers, and in 2015 he was honored with the Award of Excellence from the Western Extension Directors Association for a team effort that addresses Sudden Oak Death. UC Cooperative Extension advisors retiring in 2018. Hi, I live in 92056. We are in a drought here and only had 3 inches of rain in the past year. Please list the types of flowers best for birds and butterflies. I'm in Northern San Diego County, in Oceanside, 7 miles east of the ocean. It is very hot here in summer. A special shout to to Mark and Blake, but to all of you, thank you for your years of dedicated work, expertise, and valuable research. We are going to miss you dearly! You were rock stars at our Ventura CE Meetings. Many would come specifically to hear you speak. You were also generous with your time answering emails and phone calls, letting us pick your brains. What a loss for the farming community, but more power to you - hope you can go enjoy doing what you love outside of work.